Barns are not just for pigs and horses anymore, today brides to be are reclaiming the rustic spaces for wedding ceremonies and receptions. A rustic wedding allows for endless creativity and a lot of DIY opportunities. Did you know Graphic Giraffe can provide you with semi-DIY wedding invitations. If you enjoy crafting, but need some help getting stated, we can provide you with a design to do your own printing at home, or we can print everything and end the pieces for you to assemble as you wish! 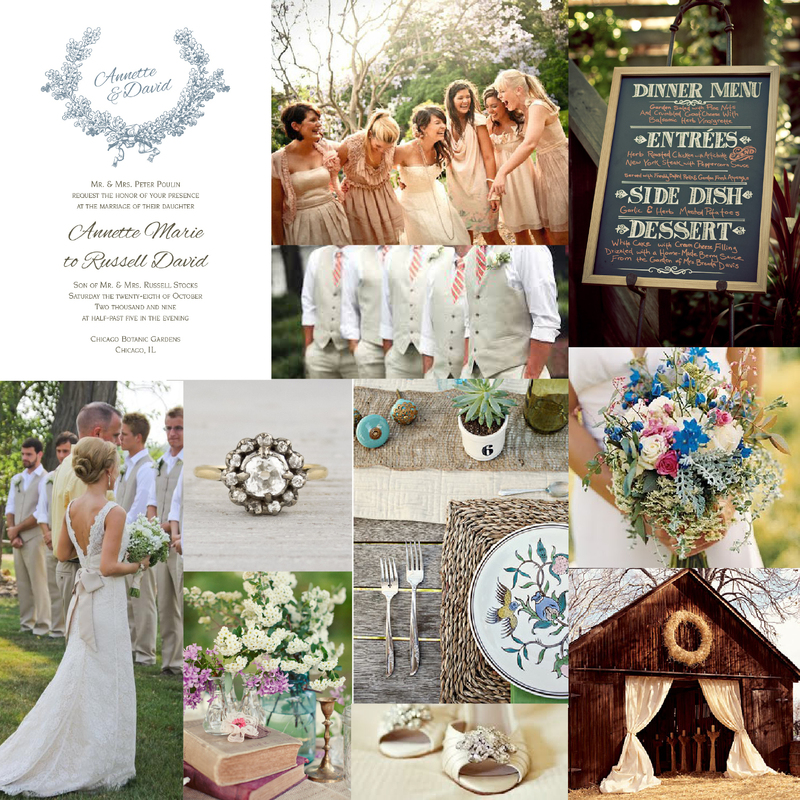 Consider the the Patricia design, featuring a wreath of wildflowers, for your rustic wedding. This entry was posted in Color Board and tagged barn, blue, burlap, chalkboard menu, DIY wedding invitations, mason jars, powder blue, restic wedding decorations, rustic, wedding, wedding invitations, wildflowers. Bookmark the permalink.